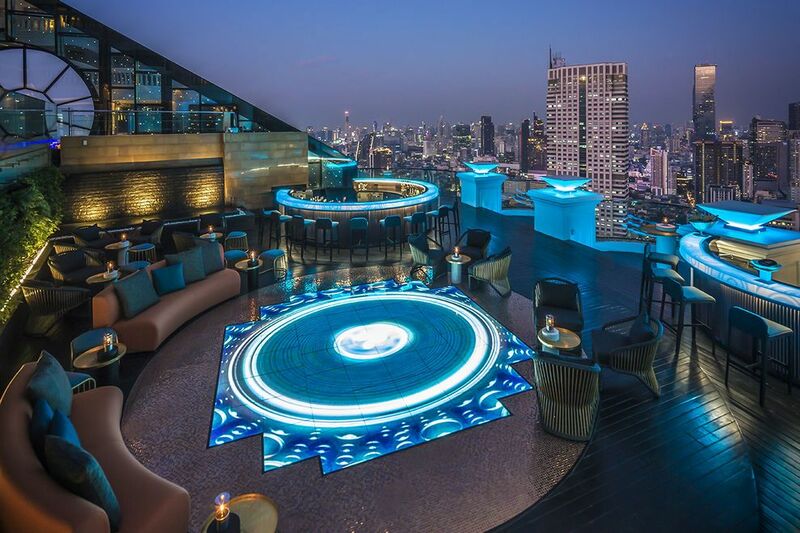 Conceived by Bangkok-based, award-winning architecture and interior design firm DWP that works across Asia, Australia and the Middle East, the 4,844-sqft Lebua No. 3 is all about transparency and high-tech design with three circular glass bar counters glowing a mysterious shade of blue, dedicated to serving either gin, vodka or caviar, and the world’s first P4 digital retina-display dance floor featuring graphics ranging from blooming flowers to ocean waves on the beach imagined by Anirbandeep Dutta. Guests first proceed down an elegantly-lit spiral staircase in granite before entering the bar with indoor and outdoor spaces offering breathtaking views of Bangkok’s skyline. Bespoke furniture in a copper, gold and black colour palette is paired with a 131-foot-long tropical green wall. Lebua No. 3 sees the lavish Lebua going casual, offering a more approachable kind of luxury, all for the sake of attracting a younger, trendier crowd. The bartenders wear jeans and sport tattoos. 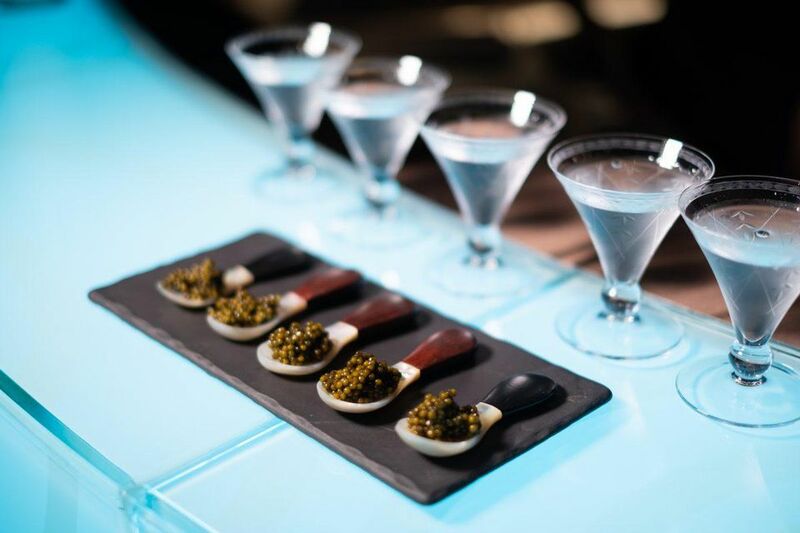 Guests eat a spoon of caviar with a shot of vodka served in a $550 handmade Japanese shooter glass while listening to a special album, created by chart-topping international music producer, Andrew Murray. The innovative gin and vodka cocktails focus on unique ingredients, such as Glamor composed of Plymouth gin, Perrier-Jouët champagne, raspberry shrub, yuzu juice and caviar air, or the Krung Thep Mule with Absolut Elyx vodka, calamansi, bitter lemonade and sweet ginger foam.